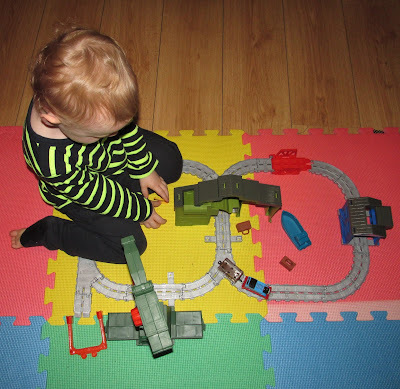 Blake and I were excited to receive the new Thomas Track Set to add to his train collection. Fisher-Price Thomas & Friend Adventures Cranky at the Docks is an exciting new track set where little engineers help Thomas and Cranky on their latest adventure at Brendam Docks. 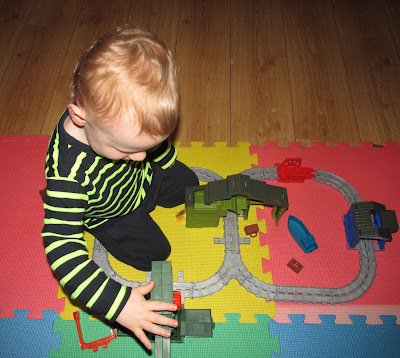 The set is a great size as it's small enough to store away but big enough for little ones to enjoy playing with.This means that it doesn't take up most of our living room and can be stored away easily in one of his toy boxes. The instructions were easy to follow when it came to putting the track together which is always handy when you have an eager toddler who wants it ready "NOW"! 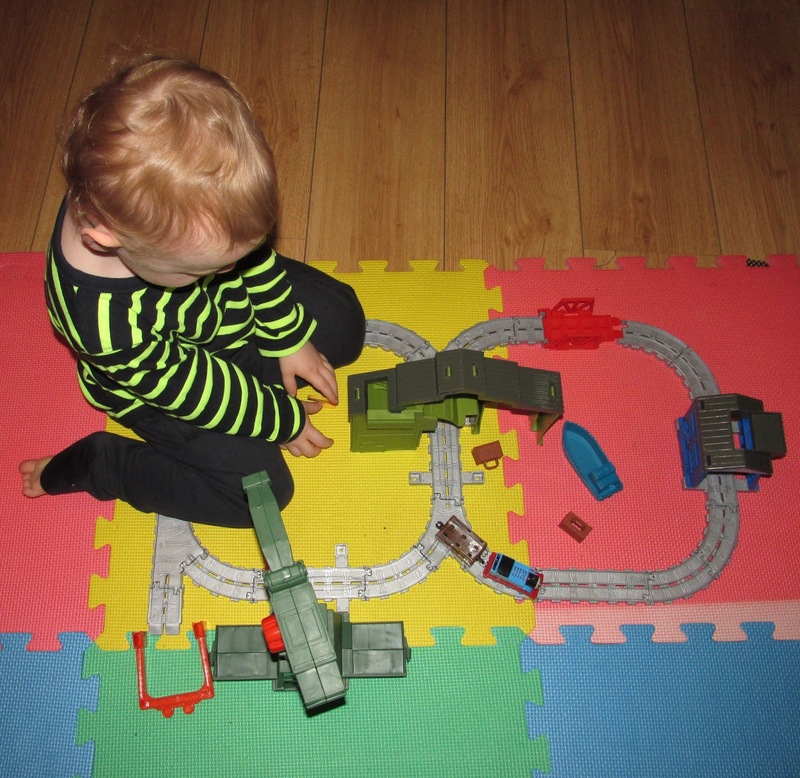 The set is suitable for ages 3 years and over. Although Blake isn't 3 until December he does love playing with this set especially the die cast Thomas. 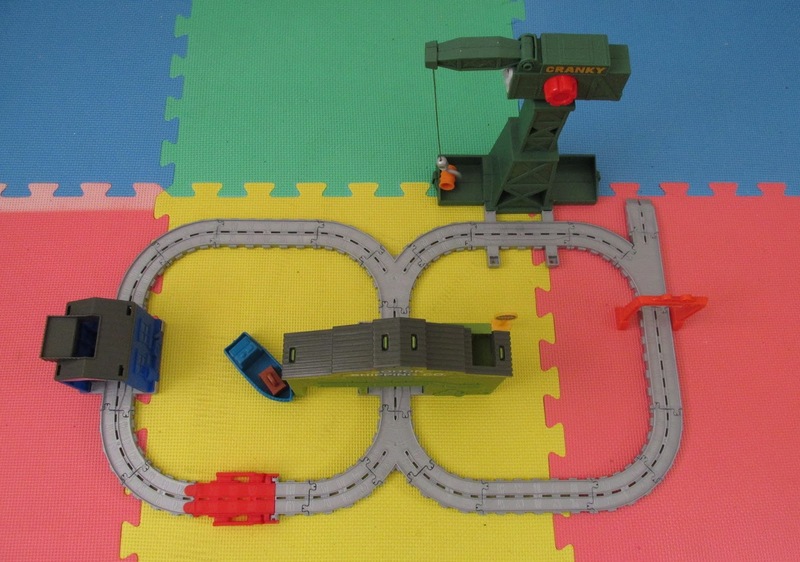 The set can also be connected to other Thomas & Friends Adventures playsets that your little one may have. 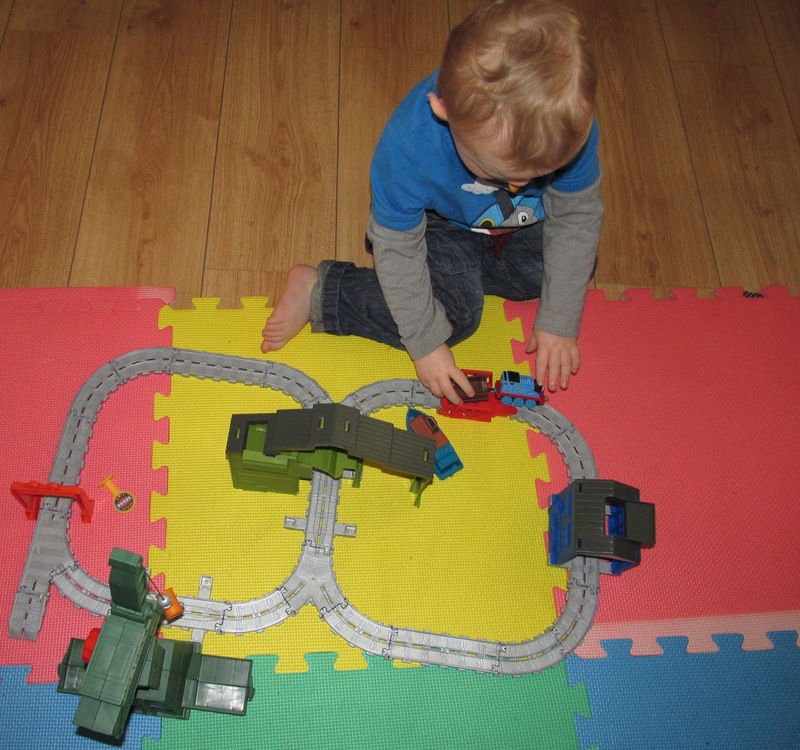 The set is great for letting children explore and use their imagination along with helping to develop both fine and gross motor skills. Blake loves the little Thomas and running him around the track and it's a great size for little hands. 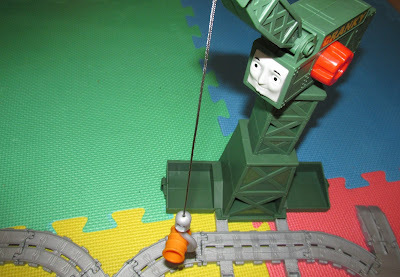 Cranky is another favourite due to him being able to move around and has a hook to load. 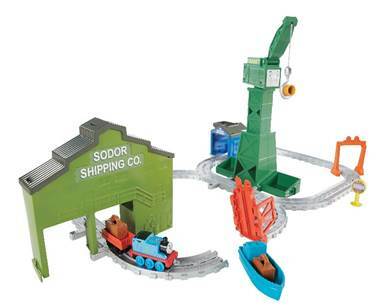 The set retails at £34.99 which considering it can be connected to other Thomas and friend adventure sets is a great price. The set is definitely worth purchasing if you have a little one that loves Thomas or trains general. The set is also sturdy so I know that it will certainly last awhile. I also like that with this train set you don't have to worry about batteries and needing to replace them which I do with other train sets we own. *I was sent the Thomas and Friends Cranky at the Docks for this review although all opinions are of my own. We love Thomas and this set looks fantastic. I like that Thomas is die cast so it will stand the test of time. I have seen a couple of other bloggers also get a Thomas train and their little ones also loved it. 35.00 is a fair price and a LOT cheaper then Legos!! This looks like a fantastic set for my young nephew. I may have to get him this for Christmas. This looks fantastic. My nephew would love it!